©2015 Blackstone Audio (P)2015 Blackstone Audio, Inc.
Can humanity overcome the urge to violence? Is it inherent in us, as it seems to be in nature? Are we really just animals? 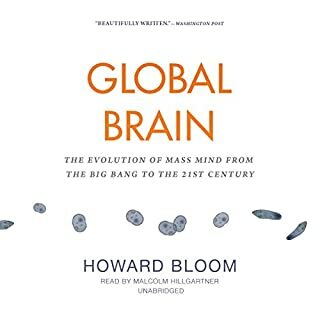 Howard Bloom has written a significant book that displays tremendous learning and a prodigious mind. It is certainly a piece in the human puzzle. Bloom always delivers. His insights give identity to the human race and reveals why we do what we do. Fascinating! This book is so complete by integrating different specialties all together, making an only but complex principle that could explain humans behavior. The performance was natural and let me be captivated by the content. Thank you for making this book available. I would say as grim at times this book can be at times; it was a refreshing look at the way we look at the concept of society. A must read...or a must listen. 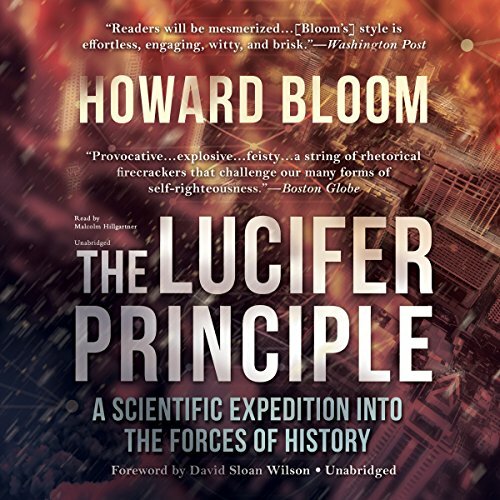 I once heard a man describe Howard Blum as "a frightfully learned man" as he touched upon how the writings of Blum related to the Gnostic religion of early Christianity. I would have much preferred that Howard Blum had written this book, and I was confused about the authors. 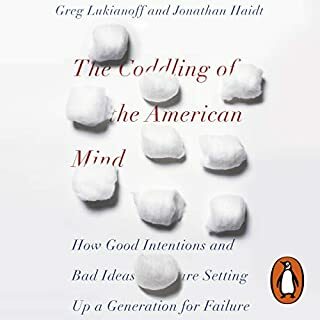 Howard Bloom however argues his ideas from a wealth of knowledge that is far reaching in many of the disciplines, and he is impressive in his own right. Yet I find myself in philosophical disagreement with the basis for this book. I do not find fault with the 5 principals that form the basis of the Lucifer Principal, but I do find them insufficient to fully understand the human being. I kind of expected Bloom to recognize that good and evil are the poles on a plane of existence and thus of the same essence. And yet he spends an inordinate time using the malign side of the animal, insect and human existence to make his points that evil is hard baked into the human experience, and almost unilaterally responsible for the formation of the human psyche. Yet Bloom seems to deny that the opposite pole is also hard wired into into our psyches. Perhaps the proclivity in Mankind toward goodness might be called in Blooms parlance The Christ Principal. Regardless, it deserves consideration. 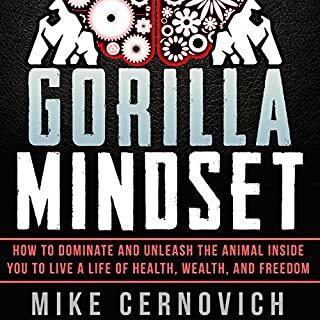 I started out enthusiastically absorbing the 5 principals and learning the biological make up of our brains (reptilian, animal, and an outer layer of Homo-sapien) but I became mired in a myriad of comparisons of insect, animal,and primate behaviors that supposedly proved the evils of our nature. These chapters seemed to imply that the reptilian and animal parts of our brains overpower the Human side, and are responsible for our compulsive and destructive nature. I became particularly disillusioned as he prescribed in an entire chapter the evil nature of Islam based solely on the Ayatolla Khomeni of Iran. Completely disregarding the many peaceful acolytes of the Islamic tradition. And at the same time he disregarded the barbarity of the Crusaders of Christianity. By the last chapter he was once again espousing the 5 principals and back on more solid ground. In short, I think it is easy to argue only one side of a point, but when arguing that man by nature is over-archingly shaped and ruled by the Lucifer Principal, the philosophical trap is unavoidable: What about the benevolent nature of Mankind? In truth, I found little satisfying insight into the eternal struggle between good and evil in this book, and yet the scientific knowledge about insects and animals and primates was interesting. This book is well written, but only half way argued, and in that way somewhat disappointing. 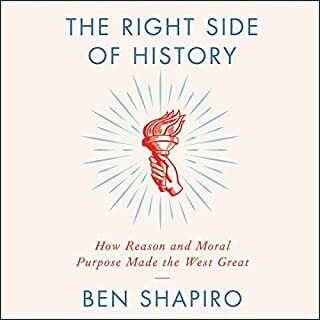 this book has reshaped my perspective of history and has given a lot of reasonable context of the behaviors of man throughout history. Fascinating and well read. Could have been written yesterday as opposed to 13 years ago in terms of relevance. I only stumbled onto this book. I am so glad I did. it was an interesting discussion on the activity of cultures and societies. 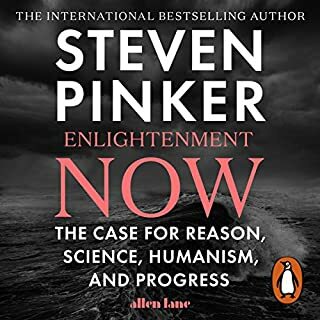 from rise to fall, from glowing successes to embarassing atrocity, this book gives an interesting logic beyond the acts (using animal research as proofs). so good, I am going to buy hard copy for my library (and for friends). I fully recommend this read. Howard Bloom's books are amazing & insightful. A+. Interesting, insightful & creative. Keeps me thinking & working to apply his theories to my daily life. Howard Bloom has some very insightful views of the world in regards to the social organism. 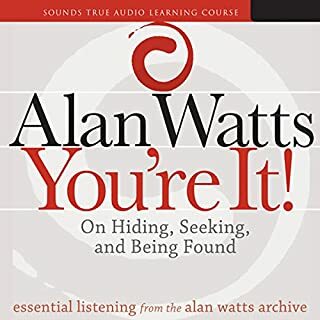 This book has helped me analyze and breakdown behaviors and underlying motivations of not only other people but myself.